Map of Terra Firma, Peru, Amazone-Land, Brasil &c.
South America (Northwestern Part). South America (Eastern Part). 1 : 10553000 Hammond, C.S. 1 : 19500000 Lavoisne, M.
1 : 21748000 Hammond, C.S. Mapa Geografico de America Meridional. 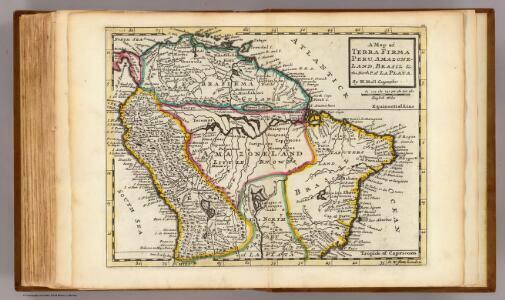 Facsimile: Part of South America by Delisle.